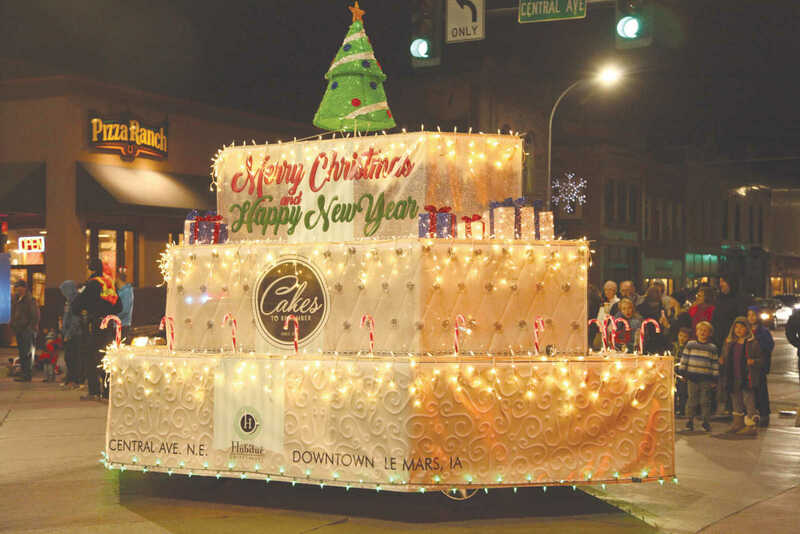 Central Avenue was lined with hundreds of parade goers to see the Le Mars Lighted Christmas Parade Saturday night. 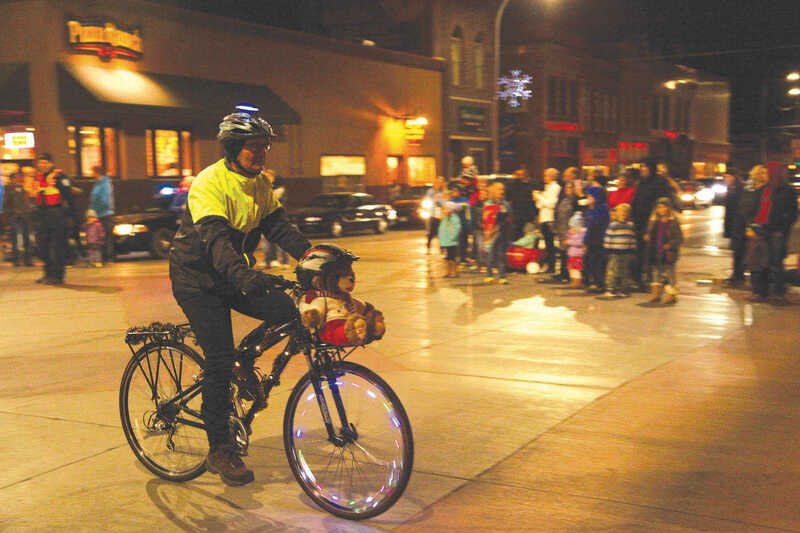 Thousands of lights on floats, bicycles, vehicles, and people lit the street for the holiday treat. 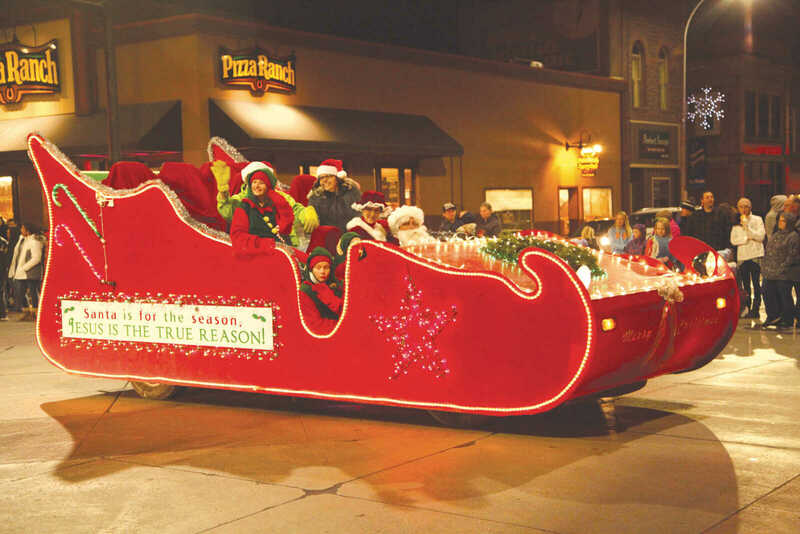 Some parade participants handed out candy canes and other Christmas goodies to those lining the street. 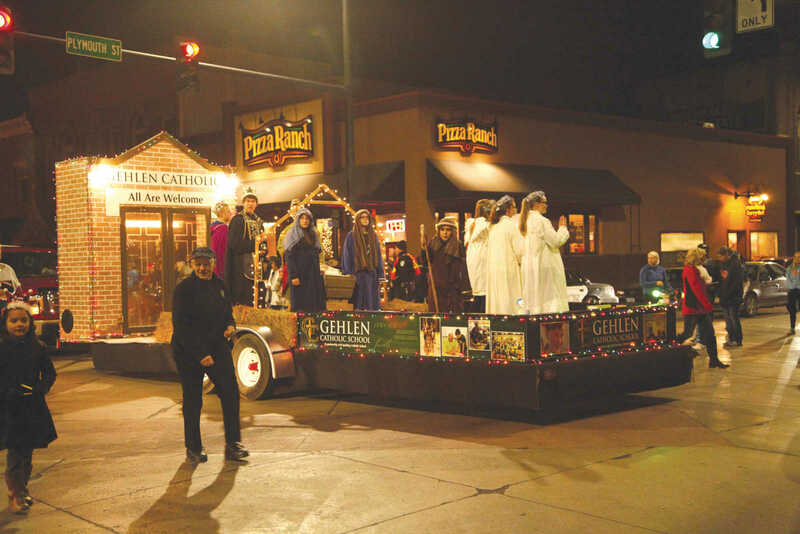 The unseasonably mild weather was a gift for both parade participants and attendees. Many people continued their evening at the Pioneer Village Christmas Wonderland.